Fresh from the success of Ghost Protocol in 2011, the Mission: Impossible series is back for it's next outing as IMF agent Ethan Hunt (Tom Cruise) faces one of his biggest challenges yet: to hunt and take down a sinister crime organisation, known only by rumours to many, dubbed the Syndicate. There's no action performer like Tom Cruise - it's common knowledge that the man is an absolute lunatic when it comes to stuntwork, performing even the most dangerous things (hanging on the edge of plane, anyone?) simply to produce engaging action scenes. 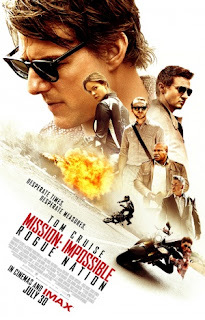 This, combined with some excellent choreography and camerawork, helps Rogue Nation become one of the most gripping action films in recent cinema; but thankfully, this is much more than style over substance. It's all backed by a superb script by director Christopher McQuarrie, which delivers a complex and well structured story, boasting all manner of twists and turns but not so much that the audience gets tired out. The story pieces together like a perfect jigsaw, with initially subtle inserts forming crucial plot points in unique ways, and the climax is so beautifully structured that it just shows how much thought went into developing it. Main antagonist Solomon Lane is played superbly by Sean Harris, though at times he seems a bit underdeveloped; and of course, the usual supporting cast of Jeremy Renner, Simon Pegg, and Ving Rhames join Cruise as a fantastic lineup of sidekicks, with Renner especially standing out in the crowd, as well as Alec Baldwin as CIA director Alan Hunley. 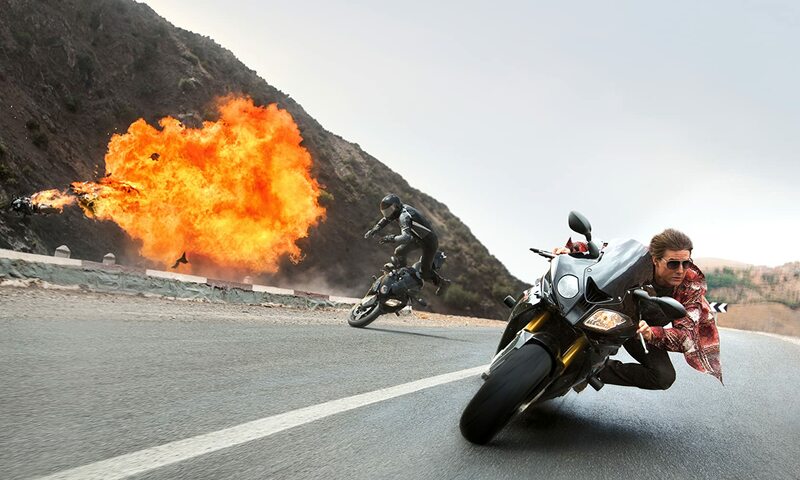 Rogue Nation is a yet another example of how modern action cinema can thrive as both a thoughtless yet thrilling 'popcorn' flick, but also as an intelligent and complex film from beginning to end - and one that isn't afraid to embrace a mixture of humour and intense thrills to create a gripping experience. It's another outstanding addition to Cruise's already renowned filmography, and one any fan of the franchise (and even action movies in general) should definitely check out. It most certainly overtakes Ghost Protocol as my favourite of the series.